Start Your Engines! Walmart Offers NASCAR savings! Do we have any racing fans here? If so, we've got fun news for families that want to save money at the track. 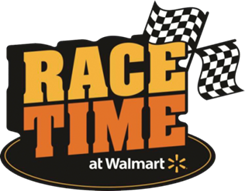 Walmart has announced its Race Time promotion, which helps you stretch a buck and give your family a fun day at NASCAR events across the country. 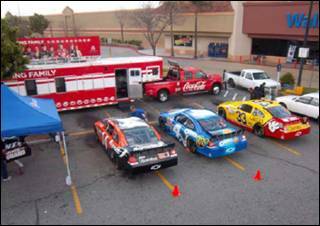 There will be a number of NASCAR promotional events at Walmart parking lots this summer, including car shows and simulators. The full schedule can be downloaded here. You can also find loads of NASCAR officially licensed products both online and in-store. Items include NASCAR 2011 video game for the Wii and this Tony Stewart adjustable cap! Snag some yummy recipe ideas from The Racing Chef! Are you fans of NASCAR? What will you do to celebrate the racing season this year?